A couple of previous posts on the B2B E-Commerce Solution laid emphasis on how it can be made more powerful through a CRM Integration and by going in for an E-Commerce Integration with ERP. Fact is, whether online stores use the B2B model or have a robust B2C E-Commerce Solution in place, they need to make it competitive come what may. Now this can be through a technology integration or by being resourceful. That is totally up to them. Given below are a few tried and tested ways in which B2B online stores can be made more powerful. These methods not only help keep transaction costs down but also improve the line of service offerings and make earning profit practically possible. 1. Make your online platform simpler than before: Online platforms that are simple are the ones having the most success. Some of these online giants include the likes of Shopify, Magento and WooCommerce. Magento offers the community version and the extended Magento enterprise platform is capable of taking on any number of tasks and integrated services. WooCommerce is successful because of its versatility and Shopify stands out for its simplicity. 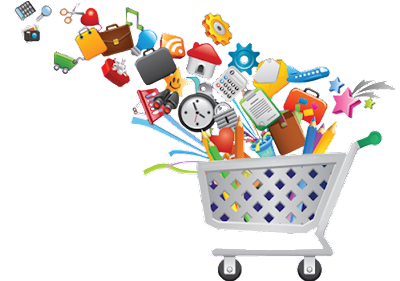 Besides, another way of making things simple on your online platform is by integrating shopping carts with payment processing. 2. Have more payment options: The moment your online platform is ready to handle the specified size and budget, it is time to create payment options for customers so that purchases are made frequently on your online store. Expanded and alternative payment solutions are ideal for business. Apart from credit cards, there are alternative payment methods too such as PayPal and Skrill. 3. EDI is a must: What does EDI stand for? It stands for Electronic Data Interchange. It is the process all transaction data goes through. EDI facilitates exchange of electronic documents. These can be anything ranging from purchase orders to invoicing and receipts to emails. This is a common feature in ERP solutions implemented by a Microsoft Dynamics Partner New Zealand. 4. Have a payment process in place that is fully optimized: There should be no complexities in transactions. Most customers get frustrated because of this. Whenever a customer buys a product from a business, he incurs low transaction costs. These rise all of a sudden when it comes to B2B transactions. So as far as online stores following the B2B model are concerned, there has to be a payment process in place which is fully optimized. 5. Get Rid of Fraud: There are always risks associated with electronic automation. There is always that element of fraud associated in some remote way. Take whatever measures are necessary to ensure that your online store is resistant to fraud, which happens mostly in the form of transaction laundering. These tips will simplify your B2B modeled store and help you turn things around for the better.